The reign of the digital watch started in the early 80’s, after technology improved and lowered the cost for a digital display watch. These low priced LED or LCD watches became so popular that many luxury Swiss timepiece brands saw sales decline dramatically and even a few brands went out of business. It was not until the late 80’s that digital watches lost much of their popularity and Swiss retook the throne. It is no wonder many Swiss brands have shunned digital and rarely incorporate digital display into their watches. (It is important to note that these high end luxury brands will likely not have full digital displays, instead they will only have small digital displays with classic displays.) Watch Repair. Lately it seems some Swiss brands have buried the hatchet and are starting to warm to digital displays. Breitling one of the top Swiss brands has really embraced digital and has many models that incorporate some form of digital into their displays. Some of Breitling’s most popular collections feature watches with digital dials such as: Breitling Aerospace Avantage, Breitling Airwolf, Breitling Emergency and Breitling Co-pilot. TAG Heuer also has partial digital displays and even has one watch collection that has an all digital dial (TAG Heuer Microtimer). Having an all digital dial may not seem like such a big deal but it is quite rare for a high end Swiss watchmaker to have a watch with a full digital dial. TAG Heuer has quite a few partially digital dial watches: TAG Heuer F1 Chronotimer, TAG Heuer Monaco Sixty Nine and the TAG Heuer Aquaracer Chronotimer. My favorite would have to be the TAG Heuer Monaco Sixty Nine that has a really unique look with its large rectangle swivel case, mechanical and quartz movement. As we approach Christmas in the preowned luxury watches market we have seen an increase in sales of oversized watches. The past couple of years has seen watches like the Breitling Super Avenger sell like crazy. Measuring in at a whopping 48.4 mm, the case puts any gents watch to shame with its size. As an industry standard, 36-40mm is correct for a gents watch. The Super Avenger is 21% larger than the normal gents watch. The Breitling Super Avenger is what Breitling is all about. As far as preowned luxury watches go Breitling represents a large, hefty, and sturdy watch. A watch that can withstand any environment. To get the true feeling of a Super Avenger you must have it on your wrist. Its massive size will make a statement no matter where it is worn. It has a chronograph feature that can measure elapsed seconds and up to 30 minutes on two different dials. It also has a date window. Because it is automatic it is incredibly reliable especially for people who travel a lot and to not have time to leave it for a new battery. The Breitling Super Avenger is an substantial watch built to last. We have covered the interesting history behind Breitling‘s Navitimer in the past. 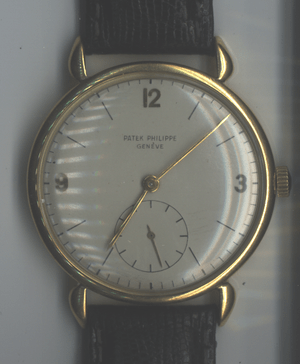 This amazing timepiece with its unique sliding rule bezel was released in 1952. It became an immediate hit with pilots and aviation enthusiasts, so much so that the International Aircraft Owners’ and Pilots’ Association chose it as their official timepiece. It was famously worn by Raquel Welch as a skydiving spy in the film Fathom (1967) and by Sean Connery as James Bond in Thunderball (1965). This watch has become a favorite of many pilots who have turned to Breitling for their watch needs. Watch Repair. With this in mind it is no wonder why John Travolta eagerly agreed to become the official Breitling brand ambassador and is featured in many of their advertisements. John Travolta is a well known and experienced pilot, he has spent more than 5,000 hours in the air and is certified to fly several types of planes. He owns five plans: a customized Boeing 707, three Gulfstream jets and a Lear jet and even has his own 1.4 mile runway at his home in Florida. Mr. Travolta famously flew his Boeing 707 to Haiti in 2010 with disaster relief supplies, volunteers and doctors. The actor/pilot has been a Breitling ambassador since 2005 and often wears these watches on a daily basis. Raymond Lee Jewelers has many Breitling watches on sale for amazingly low prices. Founded in 1921 by Guccio Gucci, Gucci has become one of the best known and oldest fashion names in the world. Gucci first product was high quality saddelery and leather goods that proved popular with consumers. Later employing years of expert leather craftsmanship Gucci began to create luxury deluxe suitcases. These suitcases were of such high caliber that demand soared allowing Gucci to branch off into other luxury goods. In 1953 Gucci opened a store in New York City and a London store in 1961. The company headquarters today is located in Amsterdam and the administrative center in London. It was not until 1972 that Gucci entered the luxury watch market. Italy’s economy began to soar creating more jobs and a high level of disposable income. At first Gucci only sold these watches in Italy and had few designs. One of the earliest designs was a bangle watch with interchangeable dials in different colors. Soon demand for Gucci branded watches spread across Europe and to the United States. Like its purses, suitcases and perfume, Gucci has spared no expense in the creation of its watches while pricing the timepieces well below other luxury brands such as Rolex, Patek Philippe and Breitling. Modern Gucci watches without diamonds or sapphires normally retail for $1,900 to $600, which is quite affordable and allows Gucci access to a considerably larger segment of the market. Possibly the most famous of all the Gucci watches is that of the letter G. This is the symbol of Gucci, and has remained one of their most successful time pieces to this day. For many years little was done to this forward thinking design and sales peaked in the mid 90’s. Today the G has many models for both men and women, the more popular models incorporate the simple band and bezel of the past with a modern dial often with choreographic features. Raymond Lee Jewelers is one of South Florida’s most trusted watch sell.